To say that Patna Blues, the debut novel of Abdullah Khan, is about the life of a young boy, an IAS aspirant from Patna, is limiting the scope of the book and the author. Strongly set in the history and politics of the nation of the last 30 years or so, the story is woven on the desire of a middle class, hardworking family to see their son as an administrative officer. What gets sewn in the storyline is the infatuation of Arif Khan, the protagonist, with a Hindu married woman, Sumitra, who is much older to him. However, in actuality what lies within the fabric of the story is the socio-political situation of the country in the background and which keeps jutting out throughout the main narrative. Right from the building up of the political mood of the nation before the demolition of the Babri Masjid to the Gujarat carnage and the then Chief Minister being denied the US visa, the story continues along the arc of political changes that happen in the country. One notices the changes in the storyline with the rise of extremism and its impact on the common man. There are references of how his honest father, a respectable police inspector, had to pay the price for his honesty, and how the corrupt officials tried to settle scores with him after he retired. This issue of corruption has been dealt with rather sensitively, portraying at length the helplessness of an honest officer. Again, when Arif’s younger brother, an aspiring actor, goes missing from a Muslim dominated locality in Delhi, there are suggestions of corruption and an existing fear of the police. During the month of September, Arif shut himself in his tiny study room, spending all his waking hours preparing for the mains. The previous month Amma had made Abba buy two large cylindrical steel containers to store grains, and these were then placed in the corridor outside his study room. A mason had been deployed to cut through the brick wall and construct a window that opened into the backyard. Amma had also got the study room whitewashed and the table and chair had been given a new coat of polish. ‘My son needs privacy to prepare for a prestigious and difficult exam like this,’ Arif had heard her saying to Abba. He stopped going over to Mritunjay’s place, fearing he might run into Sumitra. He knew that if she was around, he would not be able to stay away from her. Whenever Mritunjay complained about his reduced visits, Arif invented new excuses. But Sumitra kept popping up in his mind. The scene from that rainy night played in his mind continuously. Whenever he conjured up the moment she had embraced him, he got goosebumps. At times he also recalled Simran, his childhood crush from Darbhanga, and felt nostalgic. He convinced himself that Sumitra would vanish from his memories the way Simran had. October finally arrived and Arif felt that he had performed exceptionally well in the exam. He was sure to get an interview call. The very next day he went to Ashok Rajpath and bought the books required to prep for the interview. He also created detailed notes on his personal and academic backgrounds, the areas he would be questioned on during the interview. ‘A part of our ancestral house in Jamalpura has collapsed in the rain. One of the walls requires immediate repair. I want you to go there and oversee the construction,’ Abba told Arif. Arif was eager to leave for Jamalpura instantly. This way he would be away from Sumitra. He also wanted to test Zakir’s hypothesis – maybe staying away from her would help him forget her. He would also be able to concentrate on his studies. His ultimate dream to join the civil services was just one hurdle away and he couldn’t mess up all his hard work and his family’s dreams now. ‘See, Arif, you are close to your goal. In Jamalpura, you’ll have a comfortable space to study for the interview. Here, the continuous footfall of guests will distract you,’ Abba said. ‘Sometimes I feel guilty for not sending you to a good coaching institute like Mritunjay’s father did,’ he added with a heavy sigh. The bus crossed Gandhi Setu over the majestic Ganga and entered Hajipur. It turned and speeded towards Muzaff arpur. Between Muzaff arpur and Hajipur, there was no road, only a long stretch of potholes and cobbled paths. The bus jerked like a horse cart. A bespectacled old gentleman cursed the chief minister of Bihar, Lalu Prasad Yadav, for the condition of the roads and ridiculed Yadav for claiming that he would make Bihar’s roads as smooth as Hema Malini’s cheeks. Literary festivals of various hues have been creating a revolution of ideas across India in the last few years. However, most literary festivals take place in metro cities and resort towns. This is going to change with a new literary festival being launched in India by the people of the Seemanchal region of Bihar. 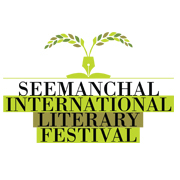 The Seemanchal International Literary Festival (SILF) is an international literary event organized by Kitaab International, Singapore, in collaboration with Insan School, Kishanganj, Bihar.The first edition of SILF is scheduled to be held on 17-18 November, 2016 at Insan School campus in Kishanganj to coincide with the golden jubilee celebration of the Insan School, one of the well-known educational institutions in the region. SILF is the brainchild of Singapore-based journalist, writer, publisher, and founder of Kitaab, Zafar Anjum, who hails from Kishanganj. Last Wednesday morning I got the sad news about the passing away of Kidwai Saheb (Dr. Akhalqur Rehman Kidwai; 1 July 1920 – 24 August 2016). Inna lillahe wa Inna elayhi ra’ajoon (To God we belong and to Him we will retun). For those who don’t know him well, Kidwai Saheb served as governor of the states of Bihar, West Bengal, and Haryana. 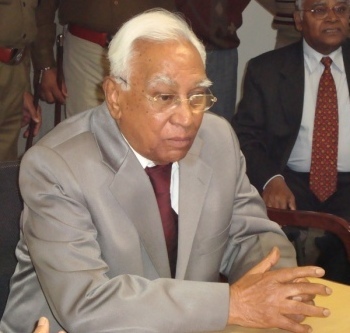 He was a member of the Rajya Sabha, the upper house of the Indian parliament, from 2000 to 2004. He was awarded the Padma Vibhushan, India’s second highest civilian award. It is common to see adjectives like academician, chemist, politician, etc., being associated with him. Perhaps a correct way to describe him would be ‘parliamentarian and administrator’ instead of the word, politician. Indeed, he was one the finest administrators of his time whether serving an institution or a state. 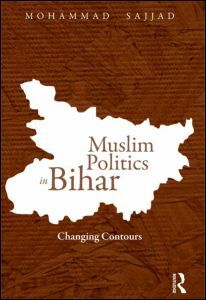 This book is a study of participation of the Muslim communities, with their intra-community socio-economic stratifications, in the politics of India’s eastern province, Bihar, during colonial and post-independence period. In the late nineteenth and early twentieth centuries, in the resistance against the Bengali hegemony, the Urban educated middle class of Muslims along with their Hindu counterparts, more specifically the Kayasthas (the Hindu community of scribes), organized themselves along the lines of ‘regional patriotism’ or ‘subordinate nationalism’ and succeeded in creating province of Bihar out of the Bengal in 1912. The Congress made its significant headway in Bihar only after that. Gandhiji’s intervention (1917) in the Champaran Satyagraha (which had intermittently been manifesting since the 1860s under the leadership of local intelligentsia, and had re-intensified since 1907), and the subsequent Khilafat-Non Cooperation Movements (1920-22) galvanized the Bihar people in anti-colonial popular struggle once again, after the movement of 1857. In all these movements including the movements/initiatives for modern education in the nineteenth century, Muslims had considerable share. Subsequently, with the growing political strength of the Congress in the 1920s, rural landed elites like the Rajputs and Bhumihars started dominating the Congress as also in the structures of power like the local bodies created by the colonial state in accordance with the Act of 1919. It started creating misgivings among the increasingly politicized communities of Muslims about the Congress. This is also to be understood that from the 1930s onwards the Congress was under pressure from the landed elites because of which it had started developing sour relations with the emerging rural forces and the grievances of the intermediate castes; the Kisan movement, the Triveni Sangh, the Harijan assertion, the tribal movements, etc., had constant tension with the Congress.